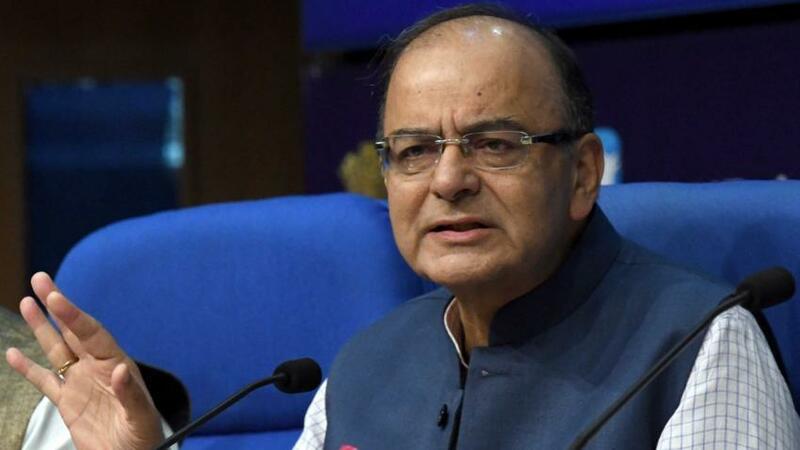 New Delhi, Nov 8: On the second anniversary of demonetisation enforced by the Narendra Modi government, Union Finance Minister Arun Jaitley on Thursday said the 'formalisation of economy' has led to the increase in tax payer base and has in the ultimate benefited both the centre and the states. "Demonetisation and implementation of the GST curbed cash transactions in a big way. An increase in the digital transactions is visible. This formalisation of the economy has led to the tax payer base increase from 6.4 million in the pre-GST regime to 12 million tax payers in the post-GST regime," Mr Jaitley wrote in a Facebook posting. He said: "The actual consumption of goods and services being recorded as a part of the tax net has now increased. This has given a buoyancy to the indirect tax growth in the economy. This has benefited both the Centre and the States. Every State, post GST, is getting a mandatory 14 per cent increase in the taxation each year". He said despite an annual income tax relief of Rs. 97,000 Crore given to the smaller tax payers and a Rs. 80,000 Crore relief given to the GST assesses, tax collections have gone up. "Rates of taxes, both direct and indirect have been reduced, but tax collections have gone up. The tax base has been expanded. GST rates on 334 commodities which were paying an effective 31 per cent tax pre-GST have witnessed a tax reduction," he wrote. Finance Minister further wrote that the government has used these resources for better infrastructure creation, social sector and Rural India. "How else could we visualise villages being connected by Road, electricity in every home, 92 per cent coverage for rural sanitation, a successful Awas Yojana, a cooking gas connection in 8 crore poor homes. Ten crore families are covered under Ayushman Bharat, Rs. 1,62,000 Crore is being spent on subsidised food, 50 per cent increase in MSP for farmers and a successful Crop Insurance Scheme". "It is the formalisation of the economy which has led to 13 crore entrepreneurs getting Mudra Loans. The Seventh Pay Commission was implemented within weeks and the OROP was finally implemented," he said. Mr Jaitley also said that an ill-informed criticism of the Demonetisation is that almost the entire cash money got deposited in the banks. "Confiscation of currency was not an objective of Demonetisation. Getting it into the formal economy and making the holders pay tax was the broader objective," he sought to clarify. "The system required to be shaken in order to make India move from cash to digital transactions. This would obviously have an impact on higher tax revenue and a higher tax base," FM wrote.